In honor of Father’s Day, the Literary Traveler staff has decided to pay homage to some fatherly favorites. We initially thought that this would not be an easy task, since many of the parental relationships in literature are represented as difficult, complicated, and neurosis-producing catalysts. Yet, we learned that while much literature includes vivid portrayals of father/child relationships, and many of them are difficult and complicated, sometimes literature gives us strong bonds, unconditional love, and cherished role models who are figures to be admired. And, even the difficult and less-than-perfect relationships often offer very human representations of family. Some of these characters may not be “fathers” in the biological sense. They may be grandfathers, stepfathers, uncles, brothers, friends — sometimes they are not male at all. Sometimes they are even anthropomorphic bears. 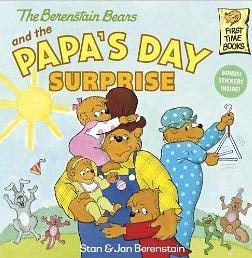 But, in honor of these very important people in all of our lives, we’d like to say “Thank You” with our literary tribute to Father’s Day. Melissa Mapes, Social Media Coordinator — Papa Bear, The Berenstain Bears — I am a big fan of bear hugs, and remember learning so many lessons about family from the happy group of bears that live in a tree house. Amanda Festa, Managing Editor — Carson Drew, The Nancy Drew Mystery Stories — Raised in a family where I could barely cross the street before I was 11, I appreciate Attorney Drew letting his daughter help out on his criminal cases. 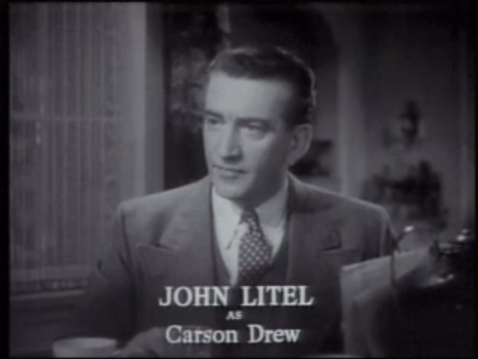 The relationship between Mr. Drew and his daughter is one of mutual respect and admiration — which is refreshing for a series that began as early as 1930. Mr. Drew trusts Nancy’s judgment and skill, turning to her often for help. She’s even come to his rescue on more than one occasion. As someone who grew up by flashlight with the Drews, I always enjoyed their dynamic and looked forward to Carson’s telegrams and the occasional phone call, when Nancy could drop a case and get to town to use a phone, of course. And there seems worse places to be reared than the charming suburban town of River Heights. Sure, the crime rate is high, but I’d surely outrun evildoers in my smart little roadster, a pretty sweet birthday present from Papa Drew. And all expense paid trips with my two best friends? I’ll pack my magnifying glass and be there in a jiff. Jessica Monk, Contributing Editor — Mr. Tom, Goodnight Mister Tom— It’s been years since I read the children’s book Goodnight Mister Tom, and even just re-reading the basics of the story on Wikipedia (ahem), I found myself welling up again. It’s hard to distill the plot down to a paragraph, but it goes something like this: In wartime Britain, William is evacuated with other children to the countryside, as London prepares for the battle of Britain and a heavy bout of bombing. He is elected to stay with the reclusive, crabby Mr. Tom, who, it turns out, lost his wife and son years ago, causing him to retreat from society. William is an awkward, shy boy, who was raised by an abusive, god-fearing mother. Away from his mother, he thrives under Tom’s care, and it becomes clear that he and Tom represent a second chance for each other as an oddball father and son duo. 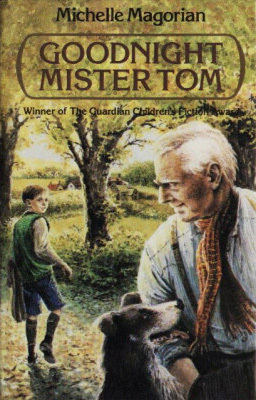 Goodnight Mister Tom is one of those kids’ books that tackles tough issues – so tough that it’s difficult to believe that you were confronted with them at such a tender age. But it’s a wonderful story of unconventional fatherhood; Mr. Tom is not only moved, but tested by love, and challenged to act out of his own comfort zone on behalf of William. He acts with courage, providing a good example to William, but also with tenderness and caring. In this way, he ends up becoming both father and mother to the boy, and the story shows that there are second chances, and that parenting is a relationship that both father and son can grow into. 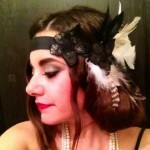 Antoinette Weil, Marketing Coordinator — Atticus Finch, To Kill a Mockingbird — My literary ‘Father of the Year Century’ would have to be Atticus Finch. Harper Lee’s classic novel reads like a literary handbook for justice, and famed father and lawyer Atticus believes in it with his whole heart. A widower, Atticus takes on the task (much more bravely than many in the 20th century) of raising his two children alone. He instills in his children a sense of morality and a sense of justice that is seldom seen in fictional portrayals of lawyers. He doesn’t allow his children to take the easy way out — a standard he also holds himself to. He speaks to them like he speaks to his peers — big words, lawyer-lingo, and all. But he is never impatient and will explain and re-explain what he means. And Atticus always says what he means. He never lies. Defending a black man puts Mr. Finch in the hot seat with the rest of the town. But he takes it as a learning tool, explaining to his children the principles of equality and of not judging a book by its cover. 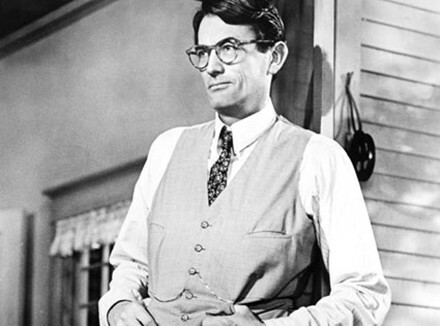 “You never really understand a person until you consider things from his point of view – until you climb into his skin and walk around in it.” Atticus Finch teaches his children exactly what he taught all of us in the classroom. And for millions of people around the world, myself included, those lessons have remained intact and Mr. Atticus Finch enshrined. 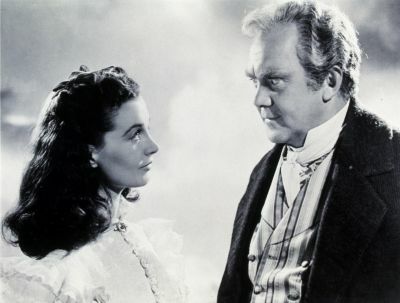 Caitlin O’Hara, Editorial Intern — Gerald O’Hara, Gone with the Wind — So, perhaps it’s all in a name, but I would choose Mr. O’Hara from Margaret Mitchell’s epic novel as my favorite literary father figure. As a young Caitlin, unable to fathom why on earth my parents didn’t name me Scarlett, the fiery southern belle was to me the epitome of gutsy beauty. As an adult though, one sees easily how flawed she is, how careless and juvenile. She might have failed altogether if not for the lessons she learned from her father. Mr. O’Hara instills in Scarlett the love of the land that ultimately saves her. He loves his wife and daughters with great fidelity and patience. True, he falters when he begins to lose it all, when his beloved slave-holding society falls to pieces, but his values of respect for the land and love of family are at the core of the book; they are the strength that ultimately redeems Scarlett, for all of her faults. In real life, however, I will always choose the real Mr. O’Hara — my dad. Tatsiana Litvinskaya, Editorial Intern — Nikolai Bolkonsky, War and Peace — Leo Tolstoy’s novel is one of the greatest Russian works of all time. I first read it when I was 15 years old, and I fell in love with Andrei Bolkonsky, a young, handsome, and courageous man, who loves his country and is ready to fight and die in the War. But who raised him and made him such a strong man? The answer is simple: his father Nikolai Bolkonsky, a man who lived his life according to moral principles. Nikolai raised his children to be noble, kind, hard-working, and not divide people by class, even though Bolkonsky’s family belongs to high society. When the father sends his son to the War, he tells him that he will cry if Andrei is killed, but if he learns that Andrei acted not as his son, it will be a shame to him as his father. These words show how important it was for Nikolai to be proud of his son’s sense of honor. Katie Stack, Editorial Intern — Professor Albus Dumbledore, the Harry Potter series — Wise, kind, mysterious, famous, knowledgeable…The complex Dumbledore was a father to Harry when he had none. Not all of these adjectives are what one might want or expect in a father, which is why Dumbledore is such a valuable example of a flawed and oh-so-human father (wizard or muggle). 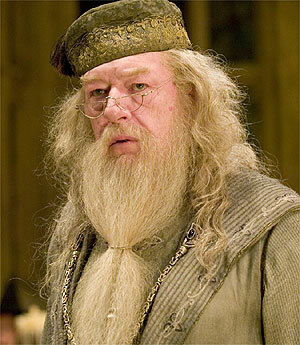 In his efforts to shield Harry from the difficult realities of adult life, Dumbledore often caused further hardship. This, in essence, is what fatherhood is: a constant struggle between facilitating a magical and care-free childhood and raising your child to be an independent and resourceful adult. 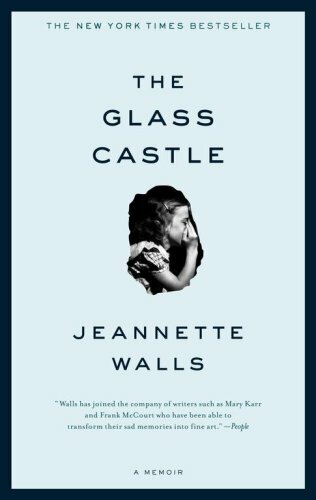 Jamie Worcester, Editorial Intern — Rex Walls, The Glass Castle — My favorite literary father figure would have to be from Jeanette Wall’s memoir, The Glass Castle. Although he is not the protagonist of the story, I find him to be the most compelling. The story starts off with Jeanette reflecting back to her childhood where her incredibly intelligent father, Rex, and free-spirited mother move the family around to various locations, even spending some time in the desert. There in the desert, Rex teaches his three children about different plant species, encourages them to play in the dirt, and allows them to pick out stars as Christmas presents. Readers will often find themselves enchanted by his intellectual nature and childish curiosity. However, as the story unfolds, the reader becomes disillusioned, and the reality of the family’s unstable lifestyle sets in. Although Rex is indeed deeply flawed, his adventurous spirit and charm are what make him my favorite. Ali Pinero, Editorial Intern — Mr. Emerson, A Room with a View — Mr. Emerson stands by his son George and urges him to put passion and love before convention, even when everyone else warns George to do otherwise. He is the reason Lucy Honeychurch realizes that she loves George after rejecting him multiple times due to his social status, as Mr. Emerson urges her to follow her soul. I think it would be the greatest comfort to know that my father holds his heart higher than his head and would insist that I strive for the impossible. He also constantly offends people and disregards proper social conventions through his blatant honesty, which would be great fun to watch, as long as it doesn’t get to the point where I am too embarrassed. I’d have to fill him in on where to draw the line. Plus, if I ever fell victim to unreciprocated love like George, he could easily convince my crush otherwise, and we would elope like George and Lucy! Can’t go wrong there! 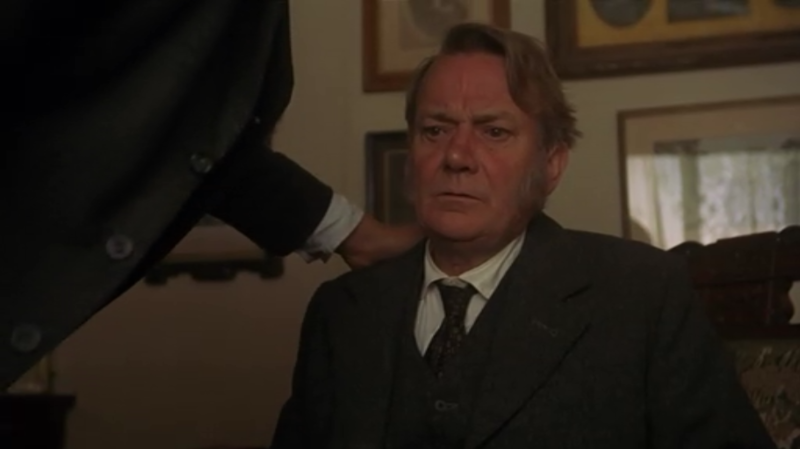 Who’s your favorite literary father figure? The Literary Traveler team shared their choices, now share your own in the comments section.